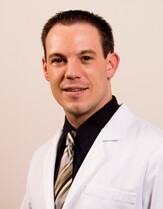 Dr Stitzel graduated from Palmer College in 2002. Dr Stitzel practices in Lititz,PA and specializes in scoliosis rehabilitation. Dr Stitzel is a director of the CLEAR-Institute NPO and lectures nationally and internationally on the topic of scoliosis rehabilitation.